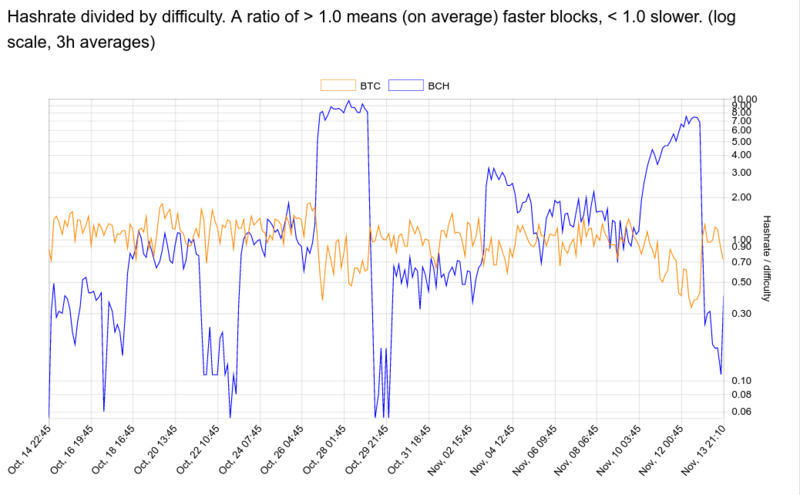 Bitcoin Cash has successfully hardforked today at around 21:00 London time with the network now upgraded at block 504031 so that its difficulty adjusts smoothly, keeping blocks at around 10 minutes on average. The planned and uncontroversial upgrade occurred following the processing of 6 blocks after it kicked in at around 7PM. With those blocks found faster than usual, averaging 10-15 minutes between each block even before the new algorithm went live, except for the 6th block which took nearly an hour. Soon after the sixth block was found, difficulty begun adjusting downwards, with blocks found faster trying to reach an equilibrium level. The upgrade aims to address hashpower oscillations between BCH and BTC. As both share the same miners, fast price movements or difficulty adjustments can make one far more profitable to mine, albeit potentially temporarily. Leading to faster or slower blocks. The new algorithm will adjust difficulty every block, which in effect translates to constantly. 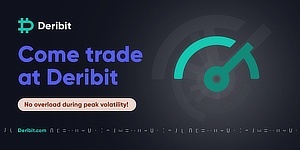 Thus it will be able to react far quicker to any drops or rises in price or hashpower, so keeping blocks within an average of 10 minutes regardless of the other factors, thus maintaining protocol level stability. Bitcoin Cash’s block speed spikes up immediately after the fork racing for that 1.0 stable level. As can be seen above, BCH has been all over the place, sometimes finding blocks way too fast, sometimes far too slow, while btc has retained some stability, although it had some recent volatility with btc processing blocks too slowly. With the new upgrade, the blue line started moving upwards towards a fairly stable somewhat straight line direction at 1.00, while btc may have more protocol level volatility as it adjusts difficulty every 2016 blocks, responding far slower to increases or decreases in hashpower. 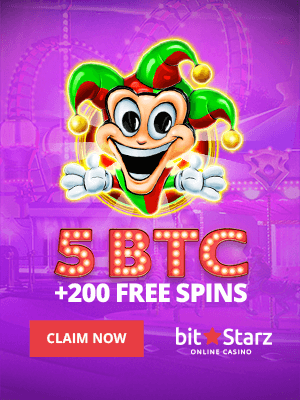 However, how exactly the dynamics between the two bitcoins will play out remains to be seen as we have never previously witnessed two major public blockchains with combined market caps of $130 billion or more so sharing the same miners and hashrate algorithm. Placing them, at least at the hardware level, in direct competition with each other as mining for one necessarily means denying added security to the other. BCH blocks seemingly averaging every 10 minutes. Blocks now appear to be coming every ten minutes, with the new difficulty algorithm so performing its function just minutes after it went live.